As hybrid vehicles become “electric motor dominant” they require a motor that can deliver more power and more torque at a lower cost with more reliability. Raser’s Symetron™ technology is available for license for “hub” style motors to meet the needs of the next generation of hybrid vehicle motors. Symetron™ technology offers PM motor performance with the economy of an AC induction pancake motor. The technology is ideal for many applications including integrated hybrid motors, intergraded starter generators, and is scaleable for a wide range of sizes from small scooters to the large heavy vehicles and generators. Formula Hybrid : Formula SAE program, has colleges and schools build and race hybrid/gas/electric vehicle. FH SAE builds a new layer of complexity and provides an additional technical challenge to student teams. Entry to the Formula Hybrid competition will be to construct the vehicle and develop the chassis and related systems in the Formula SAE program and then replace the IC engine with a hybrid drive train the following year for the Formula Hybrid competition, resulting in a two-year design cycle. HYBRID RACING FUTURE is bright. These little carts fly demonstrating the obvious. That combinatioins of gas electric technology can generate sustained high performance. Also see winner 24 hours of tokachi: SUPRA HVR. HelioVolt’s FASST™ technology produces high-performance solar thin-film with pioneering time and materials efficiencies. 10 to 100 times faster than current processes. 100 times thinner than traditional silicon. Factor in the flexibility of custom shapes and sizes. Plus easy adaptability to multiple construction materials – glass, steel, metal, composites and some polymers. The result? Another industry revolution is born. 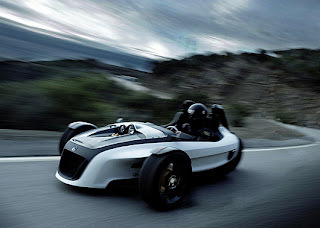 URBAN MOTOR CO. (UMC; urbanmotor.com) : Sport, has been designed to produce enourmous fuel consumption flexibility. 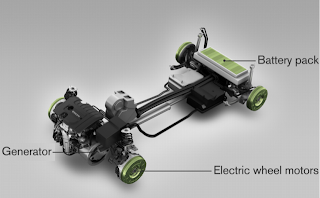 All UMC vehicles are built with the 3-way Charging System (3WAY), which allows a combination of battery recharging methods. 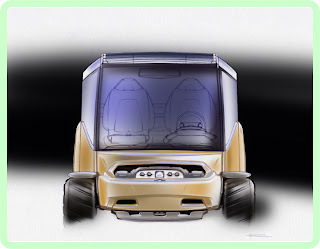 3Way; Solar, Plug-in and generator will provide greater functionality and reliability than the current global fleet of small vehicles. 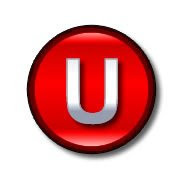 Depending on timing and availability UMC vehicles are designed to provide U with the most efficient vehicles in the universe. UMC vehicles are part of a grid to vehicle recharging plan that will allow more flexibility in fuel consumption. UMC: Has developed a proposed 100 mpg PHEVan Plug in Hybrid Electric Vehicle; Toyota Prius. 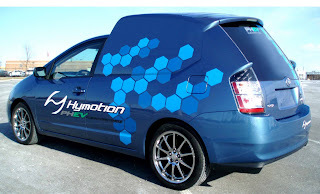 THE PHEVan: is a modded toyota prius with added Hymotion plug in battery kit. 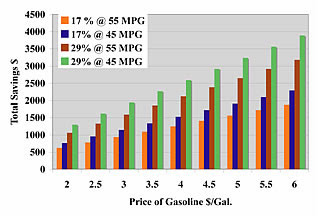 The greater the amount of battery capacity the more flexibility in fuel consumption is provided. California-based SEV has developed a prototype PV Prius fitted with a custom molded fiberglass photovoltaic module that will add solar panels to the roof of the car. And they suggest this will increase gas mileage by 17% to 29%.Maybe even more if batteries are enhanced and combined with more panels. 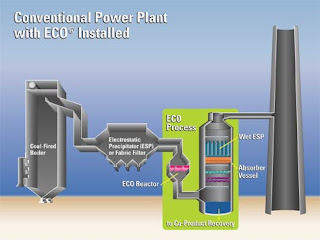 The Electro-Catalytic Oxidation (ECO) system is an integrated air pollution control technology that achieves major reductions in the primary air pollutants of concern from coal-fired power plants, specifically 99% reduction of sulfur dioxide (SO2) emissions, 90% of nitrogen oxide (NOx) emissions, 80-90% of mercury (Hg) emissions, and 95% of fine particulate matter (PM2.5) emissions. The system also provides high removal of other metals and acid gases such as sulfuric acid (SO3/H2SO4), hydrochloric acid (HCl), and hydrofluoric acid (HF). The ECO system produces a valuable, ammonium sulfate fertilizer co-product, reducing operating costs and minimizing landfill disposal of waste. TFPV. . . . most manufacturers are ramping up production capacity and several -- including First Solar, Fuji Electric, Nanosolar, Sanyo, Uni-Solar and G24i -- are building plants with more than 100 MW in capacity. PV could eventually account for as much as 20 percent of the U.S. market's energy needs. TFPV was only five percent of the entire PV market recently , but it is expected to account for 35 percent of the photovoltaics market by 2015. TFPV can be manufactured using simple printing or other R2R machines. Printing TFPV has the potential for lowering capital costs by as much as 75 percent, reducing waste and increasing throughput. Die Moto, a custom-built performance diesel motorcycle capable of running on diesel, biodiesel, or straight vegetable oil (SVO) fuels. 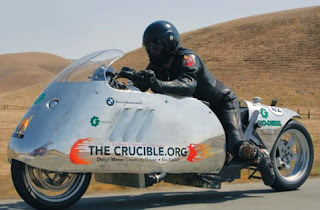 Designed and fabricated at The Crucible by a team of environmentally conscious vehicle enthusiasts, engineers and artisans, the Die Moto is out to prove the viability of alternative fuel technology in performance vehicles. As fuel efficiency and low emissions become increasingly important, diesel technology has responded with improved mileage and easy adaptation to biodiesel and SVO. The Penguin is part of the evolving universe of gadgets meant to monitor or conserve energy usage. The Lifinity ECO is both a thermostat or an energy monitor, using helpful cartoon penguins that keep tabs on your heating and AC settings, as well as the stuff plugged in around the house. Currently only available in Japan, naturally, under Matsushita’s National brand, we hope Panasonic considers bringing it to the US, where energy awareness is getting more and more cool. 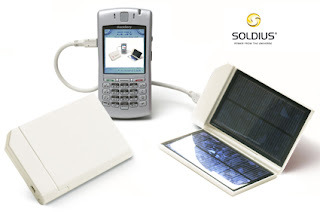 Solar Phone Rechareger: Until then, Soldius has developed, manufactures and sells, the highest quality, stylish and aesthetic products combined with State of the Art technology which provides people everywhere in the world the ability to use solar energy for charging their everyday electronic devices. “Today’s increased functionality of mobile phones places enormous energy demands on the handset’s battery. Without an interim replenishing charge, current battery technology struggles to maintain the daily demands of enhanced handsets, for example Bluetooth peripherals, video, imaging etc”. Hybrid vehicles are hot these days. Factors like constantly rising fuel prices, a growing concern about the environment and fear of tighter emission norms around the globe have spurred the production and sales of hybrids. Powered by this interest, great strides have been made in the field of batteries and associated technologies. 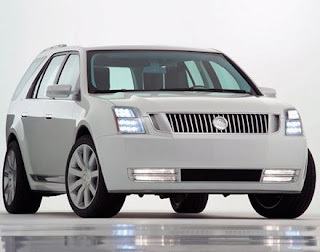 All this made the hybrids more user friendly and evolved greater consumer interest in these vehicles. 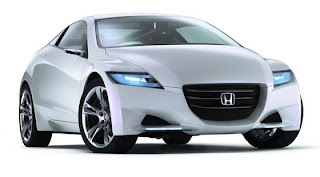 Major brands are now seriously considering the launch of dedicated hybrids like Honda's hybrid concept above. At the Genesis plant the patented closed-loop ethanol system produces energy by combining manure, collected from an adjacent 28,000-head cattle feedlot, with thin stillage, a cellulosic byproduct of ethanol refining. The hot liquid mixture is decomposed inside an anaerobic digester, where bacteria extract methane-rich biogas that is used to fire the plant's ethanol boilers. Traditional ethanol refineries are fueled by coal or natural gas.The leftover grain is fed wet to the cattle at the nearby feedlot, whose manure in turn powers the plant and creates high-quality fertilizer as a byproduct. Traditional ethanol plants have to invest in expensive, energy-intensive equipment to dry this leftover grain to prevent spoilage, and then transport it to far-off farms to use as feed. The on-site cows are treated to fresh wet cake from the nearby plant, thus avoiding both the cost and fossil fuel pollution of drying and transporting the grain. 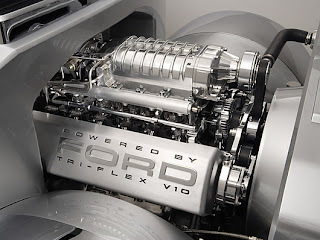 Mercury Meta One combines a hybrid transmission with a twin-turbocharged V-6 diesel engine calibrated to run on a bio-diesel blend (fuel made from natural, renewable sources such as vegetable oils). 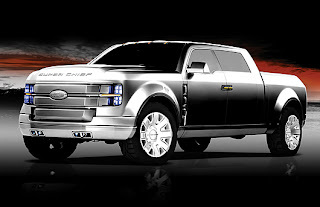 The combination is designed to produce the power of a V-10, with emission levels clean enough to meet California's Partial Zero Emissions Vehicle (PZEV) requirement. Carver, LIfe Jet 300... and the GX3, A crossover between a sports car and a motorcycle. 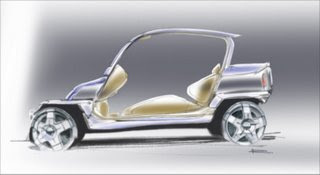 The GX3 was developed by the Moonraker Team and VW's Design Center in California, exclusively for the U.S. With its three wheels and a unique design, this Volkswagen brings pure driving enjoyment back into every day life. Light, fast and environmentally friendly, the GX3 shows that conceptually it is much closer to a motorcycle than to any other type of vehicle. 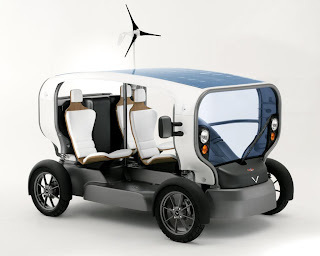 Eclectic, the first autonomous vehicle in the history of the automobile, opens up a new era in the field of mobility : reserved for daily driving in urban areas, its low energy consumption makes it the most economical environmental vehicle ever built. 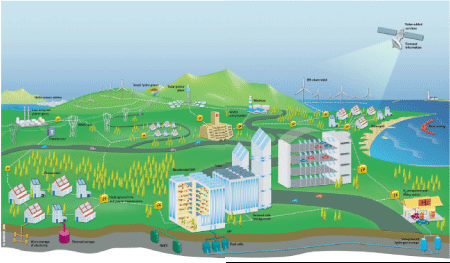 Innovative and astonishing, Eclectic is much more than a simple vehicle ; it is a production and storage plant for renewable energies, either solar or wind based. Charging of these energies, which is intermittent in certain regions, can also be complemented by electrical recharging. LS9, Inc., the Renewable Petroleum CompanyTM, is a privately-held biotechnology company pursuing industrial applications of synthetic biology to produce proprietary biofuels. 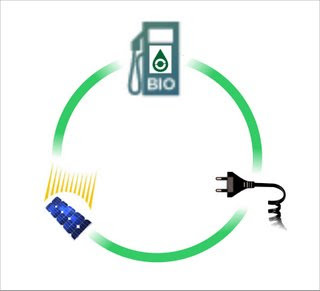 LS9's products, currently under development, are designed to closely resemble petroleum derived fuels, but be renewable, clean, domestically produced, and cost competitive. In addition to biofuels, LS9 will also develop industrial biochemicals for specialty applications. The Solar Ark, a unique, ark-shaped, solar photovoltaic power generation facility, offers activities to cultivate a better appreciation of solar power generation, and thereby of both ecology and science. 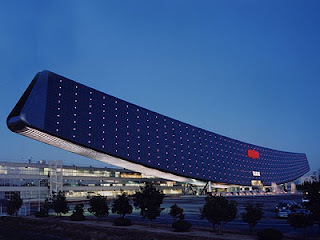 This 315m-wide, 37m-tall facility is located in Gifu Prefecture, in the geographical center of Japan, and can be seen from the JR Tokaido bullet train, which runs past on an adjacent railway track. This structure while beautiful seems like some kind of dinosaur. Research is yielding advances in solar panel efficiency and today's solar farms are more oriented towards high heat and located in deserts/ sunbelts. Using a novel technology that adds multiple innovations to a very high-performance crystalline silicon solar cell platform, a consortium led by the University of Delaware has achieved a record-breaking combined solar cell efficiency of 42.8% from sunlight at standard terrestrial conditions. That number is a significant advance from the current record of 40.7% announced in December and demonstrates an important milestone on the path to the 50% efficiency goal set by the Defense Advanced Research Projects Agency (DARPA). 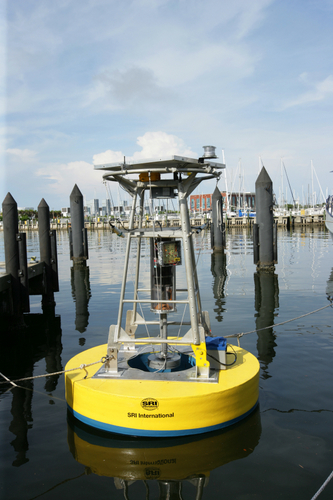 SRI International has announced the deployment of a prototype buoy-mounted, ocean wave-powered generator off the coast of Florida in the Tampa Bay. The electroactive polymer artificial muscle (EPAM™) technology is used to produce electricity as they bob up and down attached to buoys. 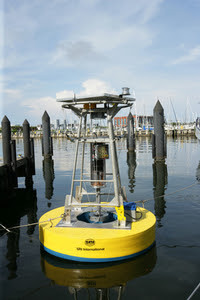 The deployment is part of a program sponsored by HYPER DRIVE Corporation, Ltd., a Japanese company focused on development and deployment of wave-powered generators around the world. The wave-powered generators can be deployed on existing ocean buoys that use batteries as their energy source. The new generator utilizes patented electroactive polymer artificial muscle (EPAM™) technology, and offers a renewable method to continually power ocean buoys. The bouys will be equipped with instrumentation that allows remote monitoring of the generator’s output energy as well as wave height and buoy motion. SRI is working with Artificial Muscle, Inc., an SRI spin-off company and the exclusive licensee of EPAM, in the development of the EPAM components for the wave-powered generators.Tidal, wave, and river water power generation is about a decade behind wind power. Just now moving from the lab into power generation with breakout potential just over the horizon. 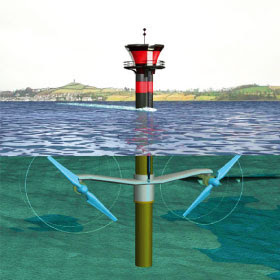 This month should see installation of one of those exciting tidal power generation systems, a 1.2 mw system to be be installed in Strangford Lough by SeaGen. After years of testing smaller turbines, this is a production level system that is going in the water. This is the last phase of testing and development before large scale installations can occur.